Rowing boats, four poster beds and metal detectors! What incredible and unexpected things will Wee Granny pull out of her magic bag next in the third book in the hugely popular Wee Granny's Magic Bag series? Turn each page to reveal a brilliant mix of colourful illustrations and an exciting story full of surprises! Get ready for excitement and surprises as Wee Granny (Scotland's very own Mary Poppins!) and her magic tartan bag set off on another adventure. Wee Granny is going on holiday with Emily and Harry to Arran but they've missed the ferry. Don't worry; Wee Granny's got just the thing in her magic bag -- a rowing boat! But shiver me timbers, on their journey Wee Granny and the children meet Captain Shoogle and his pirate crew. 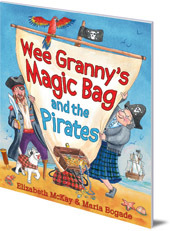 Does Wee Granny have anything in her magic bag to help the pirates find their buried treasure? You'll never guess what unbelievable thing she'll pull out next! 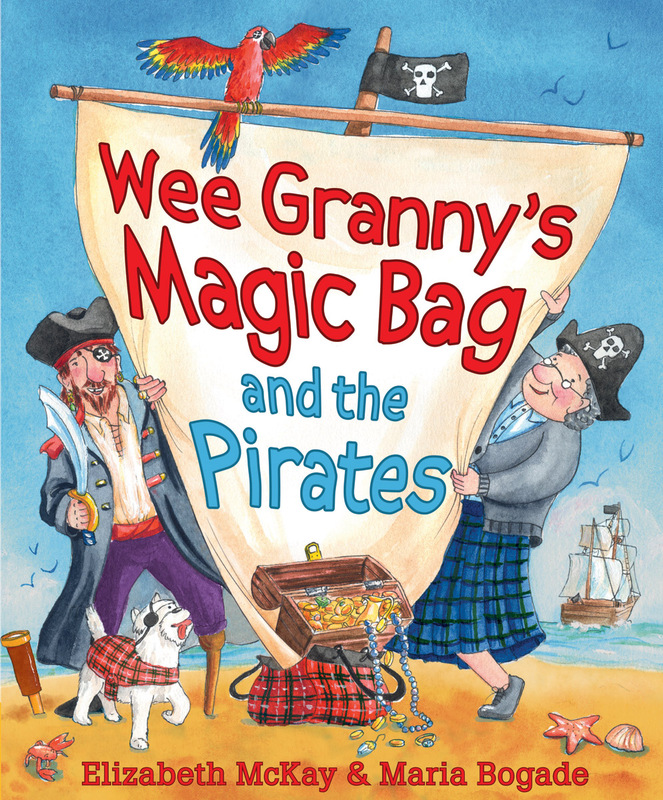 The third book in the hugely popular Wee Granny's Magic Bag series is a hilarious tartan-Jolly Rodger mash-up with plenty of fun for pirates and landlubbers alike. Turn each page to reveal a brilliant mix of colourful illustrations and an exciting story full of surprises! Elizabeth McKay is from Dalry in Ayrshire, Scotland. She has had around 300 stories and articles published. She works part time at a day-centre for adults with learning disabilities. Having seven nieces and nephews (and now great nieces and nephews) has provided her with the perfect excuse to read lots of children's books. She is also the author of Wee Granny's Magic Bag and Wee Granny and the Ceilidh. Maria Bogade is an illustrator and illustration agent from Germany, where she lives with her partner and two children. She is the illustrator of many children's books including Wee Granny's Magic Bag and Wee Granny and the Ceilidh.